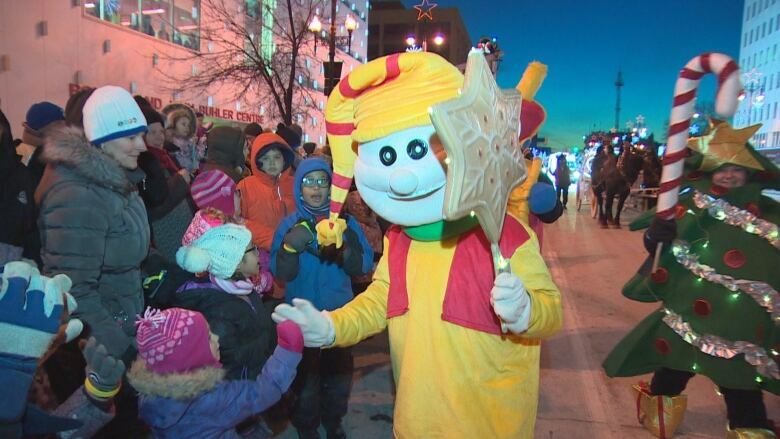 Santa's 109-year parade streak will stay intact for Winnipeg. 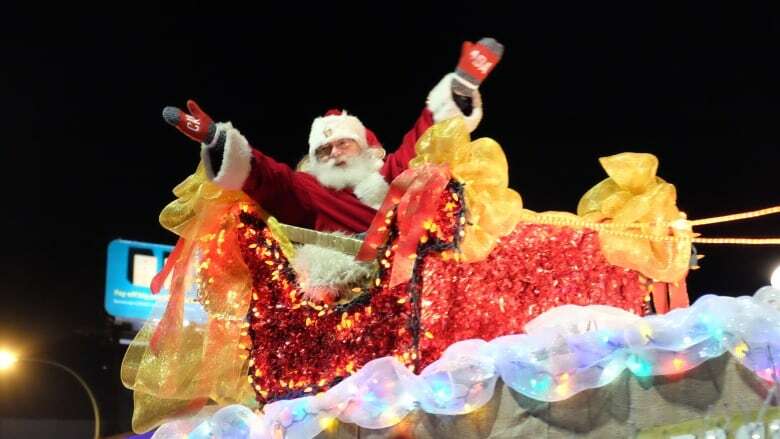 Santa's 109-year parade streak will stay intact. Less than two weeks after organizers of Winnipeg's historic Santa Claus parade issued a dire warning that it would be cancelled if they couldn't raise enough money to fix the jolly elf's float, they have reached their goal — and more. As a result, the downtown parade will go ahead Nov. 17 as originally planned. "We are overwhelmed at how our community responded to the parade's request for help," parade director Monica Derksen said in a news release. A GoFundMe campaign to raise $100,000 to repair the parade's main float was launched in April, a few months after it was declared unsafe. 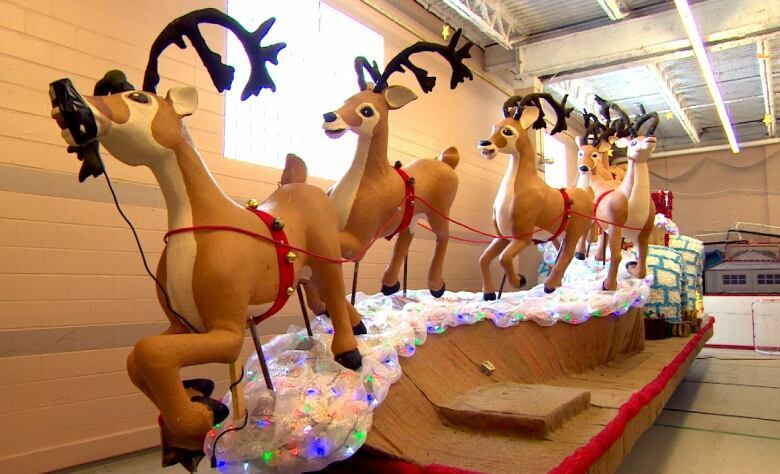 The current float, which is more than 60 years old, was built on a structure created out of old Eaton's department store billboards but extreme winter temperatures and decades of wear and tear has left it damaged beyond repair. The decor is also crumbling and the snowmen are disintegrating. Plans for building a replacement were put into motion not long after the 2017 parade, when the poor condition was first realized. The non-profit organization behind the event had just secured a new sponsorship and was ready to get started on the construction. But in April 2018, that new sponsorship was rescinded, leaving a big financial hole. The GoFundMe campaign was launched but by the end of September it was still $68,000 short of the $100,000 goal. Once that news hit the media, people started rallying with donations, said Derksen. "This campaign brought people together in a common goal with hundreds of donations ranging from $5 to $40,000 from individuals, organizations, foundations and businesses of all sizes," she said. In all, there were more than 440 donations from across the province. That $40,000 injection came from SkipTheDishes with a total of $151,349 raised in total. "It was so humbling to hear all the heartwarming comments about how important this event is to our city," said Derksen. "The generosity we have experienced these last two weeks has made it very clear that the effort that is put into the parade every year by volunteers, board members, sponsors and float participants is worth it." Two groups that helped out were the alumni associations for both the Blue Bombers and Jets. When he heard about the trouble the parade was in, Mike Hameluck of the Bombers alumni said he "immediately jumped into action." He arranged for the two associations to run a fundraising campaign at Save-On-Foods stores in the city. It was the first-ever joint alumni event for the groups and the effort pulled in more than $12,000. "I'm just blown away. And for them [parade organizers] to secure $150,000, that's unbelievable," said Hameluck, who has six grandchildren and plans to be at this year's parade with all of them. "We're really going to enjoy this one, probably more than ever, knowing that we were a small part in helping to save the parade." The money beyond the $100,000 goal will be used for float maintenance and storage and as seed money for a new float bursary program for non-profit and community organizations. Further details on that will be announced at a later date, Derksen said. "On behalf of the board, we give our most heartfelt thanks to you Winnipeg. See you at the parade on November 17." The event, first held in 1909 in Winnipeg, attracts more than 60,000 spectators annually. Eaton's Department Store held its first Santa Claus Parade in 1905 in Toronto and it was so successful that in 1909, Eaton's started parades in Montreal and Winnipeg, the Winnipeg Santa Claus Parade website says on its history page. Due to rising costs, Eaton's in Winnipeg organized its last parade in 1965. Capt. George Smith of the East Kildonan Fire Department, on behalf of the Winnipeg Firefighters Club, bought the parade from Eaton's for $1.50, the website says. That marked the start of the community-based format the parade still follows to this day. From 1966 to 1975, Winnipeg firefighters worked closely with volunteers from schools around the city to carry on the parade tradition. In 1975, the Winnipeg Jaycees, now JCI Winnipeg, took over the stewardship of the parade, the site says. In 1987, the Christmas Cheer Board began its relationship with the parade, collecting donations and non-perishable food items along the route. In November 1998, the City of Winnipeg hosted the CFL's Grey Cup championship game, and Manitoba Hydro, along with event organizers, organized a Grey Cup parade in downtown. Hydro continued to sponsor an annual nighttime parade, the Power Smart Festival of Lights Parade, downtown from 1999 to 2005. When the Grey Cup returned in 2006, JCI Winnipeg joined forces with the City of Winnipeg and Manitoba Hydro, rolling their events into one big Santa Claus Parade. Annually, there are more than 75 entries — floats and walking groups — that total more than 3,000 participants, the website says.